Winter view from the yoga mat. Yesterday's LSD cross-country ski evoked memories of a visit to my favorite beach resort last summer. No, this was not a mind-altered ski experience fueled by Timothy Leary's dictum; rather it was just a result of my Long Slow Distance (LSD) ski training session. Huffing and puffing my way up the hills on the remote Porter Mountain Racing Loops at Mount Van Hoevenberg, I had plenty of time to ponder. Pondering frequently leads to reflection, and for me, reflection while exercising invariably produces a blog post. Memories from last summer's warm mini-vacation weaseled their way into my nearly numb, 15-degree mind yesterday because as I paused to admire the early Alpen glühen on one of the nearby Adirondack High Peaks, I recalled a discussion I had with some friends as we sweltered in the South Jersey heat. Describing life in Lake Placid, I mentioned the high energy and crowds of Ironman week. In response, one of my friends said, "What a shame there are so many people who do these sports – all these people with no time for introspection." Au contraire! I am here to tell you there is nothing like endurance sport training for introspection and reflection. I would also like to dispel the misconception that Lake Placid is all about adrenaline-fed competitive sports. 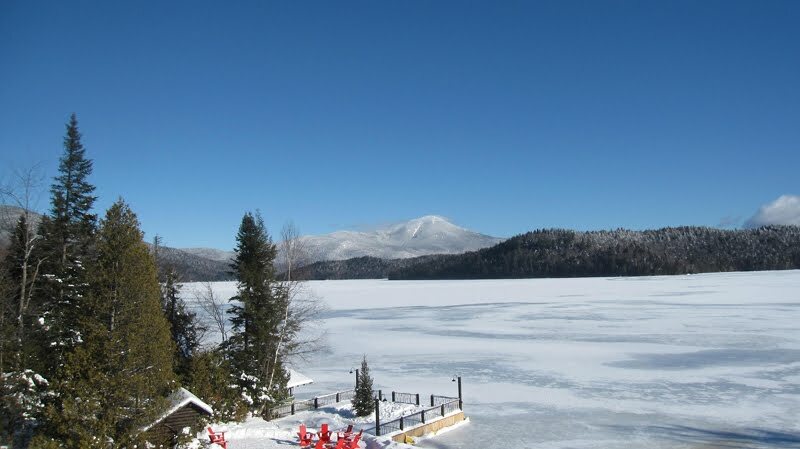 Lake Placid presents plenty of opportunities for introspection. Long hikes, cross-country skis, or curling up with a book in front of a warm fire are a great way to recharge and ponder the mysteries of the universe. In addition to meditative endurance endeavors in Lake Placid, there are also a myriad of local yoga classes for those in the market for a more traditional and perhaps less exhausting introspective experience. Yesterday for example, prior to embarking on that LSD ski, I started my perfect Adirondack day with a wonderful, meditative yet rejuvenating yoga class at one of my favorite local hotels. We practice in a room with a wall of windows facing Lake Placid, the lake. In the warmer weather our yoga practice takes place outside on the dock; an inspirational and restorative location even without the yoga poses. 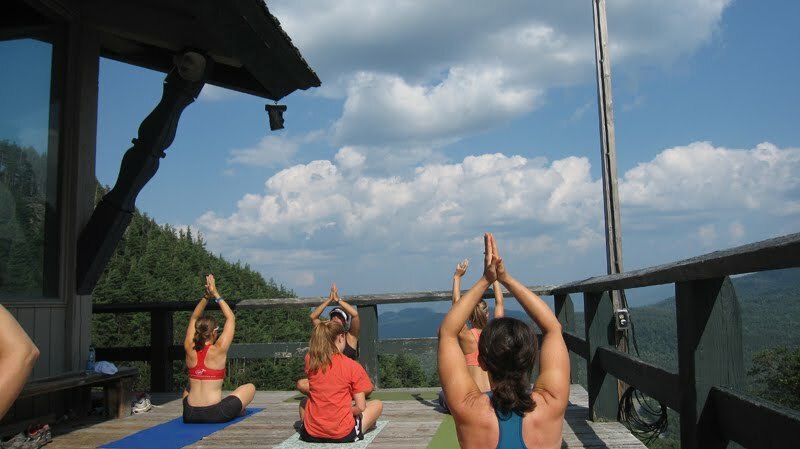 In the summer, there is an awesome yoga-on-the-mountain class held at Whiteface Mountain. Participants climb from the base of Whiteface to the mid-station lodge where our instructor leads a wonderful yoga class outdoors on the deck. Yoga with an Adirondack view is an excellent and potentially introspective component of a visit to Lake Placid. It is also a great way to balance an active Adirondack day. Classes abound in and around the Lake Placid region, so if you are visiting, inquire with your hotel's concierge for a location and time to suit your schedule. Summer yoga at Whiteface mid-station.